While I’ve already seen this one on the big screen in my lifetime, I’d never pass up the opportunity to see it again. And next week, horror lovers around the world will have the opportunity to catch it. 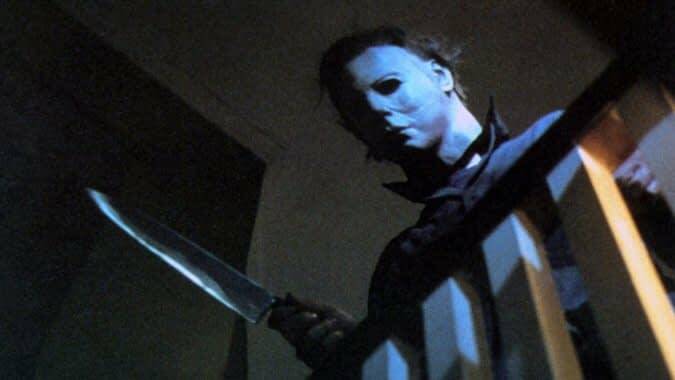 Thanks to SpectiCast, the classic John Carpenter film Halloween is returning to theaters everywhere for engagements that last through October 31st. John Carpenter’s 1978 classic Halloween returns to theaters worldwide this October! See the film that defined a genre and launched an iconic franchise the way is was meant to be seen, on the big screen. Plus, catch an exclusive interview and retrospective with the legendary master of horror, John Carpenter. Introducing the film, this special bonus explores the history of the film and the indelible influence Halloween has had on not only the horror genre, but the entire film industry. Carpenter explains why the film is meant for the big screen, the influences that inspire his filmmaking and how Halloween became the highest grossing independent film of all time. There’s no better way to experience the movie that brought Michael Myers into nightmares everywhere and launched the career of the original “scream queen” Jamie Lee Curtis, than in cinemas, digitally restored and remastered by the original cinematographer. This is the same transfer that they have been re-releasing into theaters for years now. The behind-the-scenes feature could be cool to see, as well; that stuff is always fun. Halloween is a classic film — in my opinion, the best horror film ever made. Everything about it is perfect, from the script to the score. All thanks to John Carpenter. Its greatness is in its simplicity. Everyone knows how great the film is. I always tell anyone who will listen that if I had a time machine, I would go back to the late 1970s for the cinema and the toys. Man, would I have loved to see this one during its original run. Check if the film is playing near you and buy tickets right here.